I mentioned that it takes a great deal of courage for pro-life students to stand up to the student union bullies. I’d like to really stress this: it takes more courage than you think. You are young, trying to get a degree, taking on an unpopular cause… it’s not outside the realm of the possible that some professor decides you shouldn’t pass. Or then there’s just the social climate in which you are living and breathing. Needless to say, back when I was a student, I didn’t have that courage and didn’t involve myself in this type of club activities. These guys have garnered a lot of mainstream media–simply because they were willing to be vocal. And that does everyone a service, and provides an example. As for the conference, I only arrived close to the end of the day yesterday, and things are just starting today. On that note, I’m off to get ready for the day. Recall how Lakehead had their club status denied. Now the Lakehead Student Union has decided they want a pro-life/pro-choice debate. March 4 is the date. The Lakehead Life club invited Jojo Ruba to speak. If they were denied status before, they should now be preparing for a full excommunication. You see, Jojo is responsible for the whole kerfuffle at Carleton University in 2006, when the Carleton student union banned the pro-life club there. That incident directly followed his debate with Planned Parenthood at Carleton University. I happened to see him in action against the two (yes-two) ladies from Planned Parenthood. Apparently they brought each for moral support, which would have been very much needed because Jojo singlehandedly cleaned their clocks. Pro-choice people to debate are hard to come by. I understand why they are wary. Flaky arguments that skirt the issue is what I heard when I attended the 2006 Carleton debate. Jojo is respectful, kind, well-informed, logical and good. He’s excellent. I hope Lakehead University holds this debate. I’m just saying-the pro-life club should prepare themselves for the fallout, because Mr. Ruba is really good. 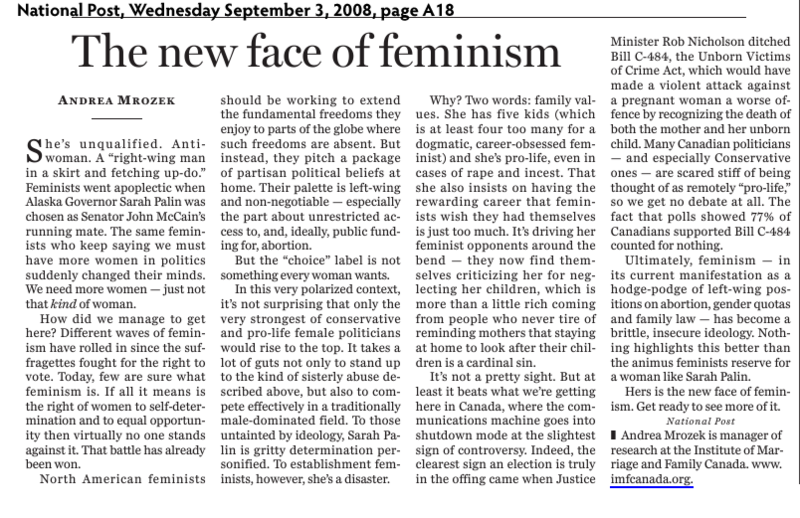 And the pro-choice side in the 2006 debate was really weak. No one likes to be made the fool and apparently angry fools do foolish things. Next thing you know they might want to hold an event. Clearly, this club is demanding. On January 10, the Lakehead University student union denied the pro-life club official status. If I were a student at Lakehead I’d get every student to start their own club. A chess club, a new age mysticism club, a Muslim club, a doily crocheting club and yes, of course, a womyn’s club-all with the express mandate to do nothing but discuss the theology of the body and watch abortion videos, whilst doing other club activities. Which club would the student union ban first? Would they have the tenacity to ban the Muslim pro-lifers? Or would they target the chess players first, which would allow the chess players to rightly assert they have been unfairly discriminated against. It could take months to sort out the banning order. But it would be good preparation for their first jobs at human rights tribunals.